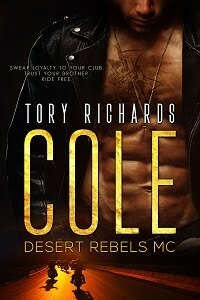 TORY RICHARDS: Print Book Giveaway! I have a contest with Coffee Time Romance and More coming up! Some lucky devil will win autographed copies of the complete Phantom Riders MC Trilogy. Check back the first of May for more information.